Despite this sentiment, the darkness of the days and weeks that followed his fourth career defeat were difficult to contend with. His trainer over the preceding year or so of his activity, Dave Coldwell, spoke during the summer of the energy pre-fight and in-fight nerves sapped from the big Liverpudlian and his belief that David wouldn’t continue fighting. David was swift to dismiss the implied conclusion that he lacks the mentality to succeed in boxing. In the aftermath of defeat to Hammer, the fourth of his career and all by stoppage, things changed. Some shifts were obvious; the partnership with Coldwell, unsurprisingly, reached a natural and mutual conclusion and the experiment with weighing more, which David concedes was his idea, came to an end too. Other changes were more subtle, although to David, no less significant – people around him acted different too. The circumstances of those losses are widely known to those with an interest in the sport but for those less enraptured, the first three defeats were to men who would fail drug tests subsequent to their fights with David. This theft of momentum, his self-confidence and status could still prove irreversible and it would be understandable had David crumbled beneath the burden of regret or sense of injustice he wrestled with this past two or three years. As an Olympic Bronze medalist, widely tipped for professional honours at world level, he remains short of the trajectory anticipated when leaving the vest and headguard behind in 2008. I was happy to learn that belatedly, and painfully, he has managed to resist the demons those events could’ve created and is eager to prove there is still scope to fulfil that potential. The past week has brought David back into the consciousness of boxing fans via the power of social media and a certain Tyson Fury, himself looking to return from a long ‘sabbatical’, name checking him as a potential future opponent. Emboldened by his own positivity and with the wisdom to know that he may need to gamble to get the opportunity he is ultimately seeking, David would happily embrace the challenge were it to materialise. The first round knockout of Audley Harrison, a fight David felt was the best shape he was ever in. Throughout our conversation there is an echo of self-awareness in all of David’s responses, a willingness to be honest and pragmatic about his path to this point, but with a desire not to appear melancholic or bitter. As though revealing either would confirm the anxiety or weaknesses Coldwell, and thousands of the anonymous Twittersphere, point to when undermining or dismissing his capabilities. He’s become wise enough to tune out to the negativity, without ignoring the lessons of the past. As we all get older, as the individual years represent ever smaller percentages of the life we’ve led, time seems to speed up. In the blink of an eye, almost a decade has passed since David won that Bronze medal. Thankfully, given the lows he has experienced, heavyweight boxing offers participants a chance or two more than the other divisions and the old maxims of ‘it only takes one punch’ and ‘the last thing you lose is your power’ are ever more prevalent among the big men. In short, even in his mid-thirties, David still has time to fulfil his dreams. 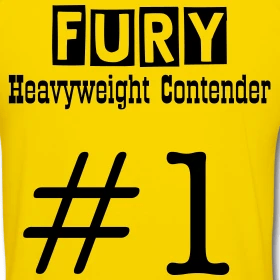 Despite his victory over Tyson Fury in the Amateurs, any prospect of a cross roads clash between the two in the Spring, ahead of the richer bouts Fury assumes to exploit in the summer, David needs to start winning again. On December 2nd he faces a circuit European over six rounds on an MTK Global show in Brentwood that IFL TV will broadcast on the internet. It may be a long way from the shows he topped in the past, but as he points out himself, David remains, for better or worse, a ‘TV fighter’. Critics, both the credible and the anonymous, will wonder what, at 34, can possibly be different – other than avoiding encounters with a drug cheat in the opposite corner – in this, surely, his last run. David points to his return to a more athletic physique and a sense of being at peace with the past and at peace in his place in the here and now as the reasons we should believe. As I’ve suggested more than once in the years in which David has encountered misfortune and lurched into the wilderness, a period in which the modesty of Charles Martin, Bermane Stiverne and Lucas Browne as well as the luminaries of Joshua, Fury and co, have held or contested world title belts; a fit, focussed and confident David Price surely remains a very serious contender. The quest to prove it begins in Brentwood on December 2nd. Tickets for the event are on sale and available from David directly or via MTK London.